When life gives you rhubarb, you make rhubarb-ade? But oh, how time quickly changes things! The shortcake recipe taught me that rhubarb could easily be roasted like my favorite vegetables. Just throw in the pieces with vanilla, sugar, and water and boom! Deliciousness, complete with a pretty pink syrup to boot. Before long, I was obsessed with the stuff. I loved the tart flavor they brought to desserts. After the shortcakes came these wonderful rhubarb marshmallows, followed by this beautiful rhubarb and pistachio pavlova. I'm always surprised to discover how short of a time things actually stay in season. I walked into the farmer's market last weekend expecting to get a flat of strawberries, only to find that the strawberries had been replaced with cherries. Although I took advantage of strawberry season, I was a little bit to sad to see the season end. 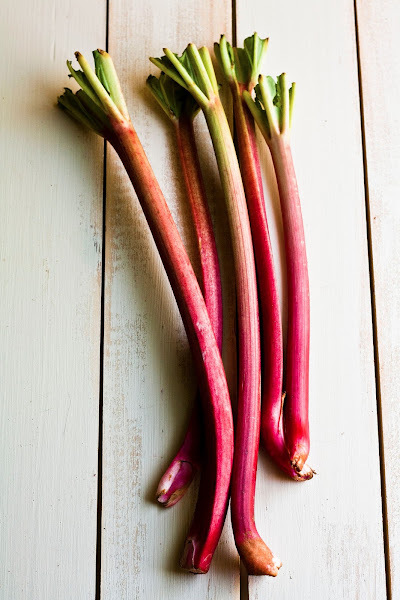 Rhubarb is a little bit more forgiving — in Portland, the stalks have been around since late May, but are starting to become scarcer and scarcer in the farmer's market. I bought a bunch of stalks, fully intending to make sure I had rhubarb flavor accessible to me year round. If you've ever wondered how to make your favorite seasonal fruits last all year long, the solution is simple: you can turn them into a fruit syrup. A simple syrup. So what can you use the rhubarb syrup for? Well, personally, I've been eyeing this Food52 recipe for rhubarb and rose ramos gin fizz for a few months now. Also this rhubarb bellini from the New York Times.Other things besides cocktails? 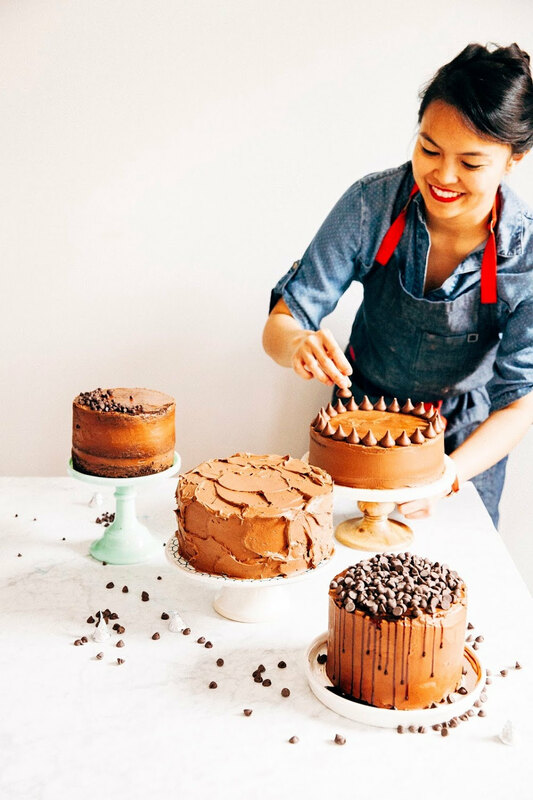 Drizzle over ice cream and pancakes, flavor cakes and frostings... the possibilities are endless. 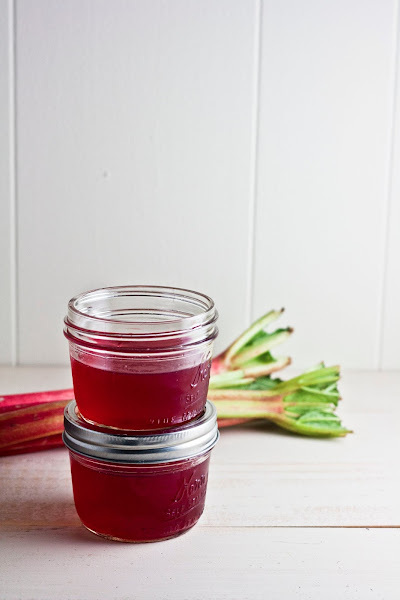 Check back in a few weeks for some drink and dessert recipes involving rhubarb syrup! But for now, I'll leave you with this recipe. 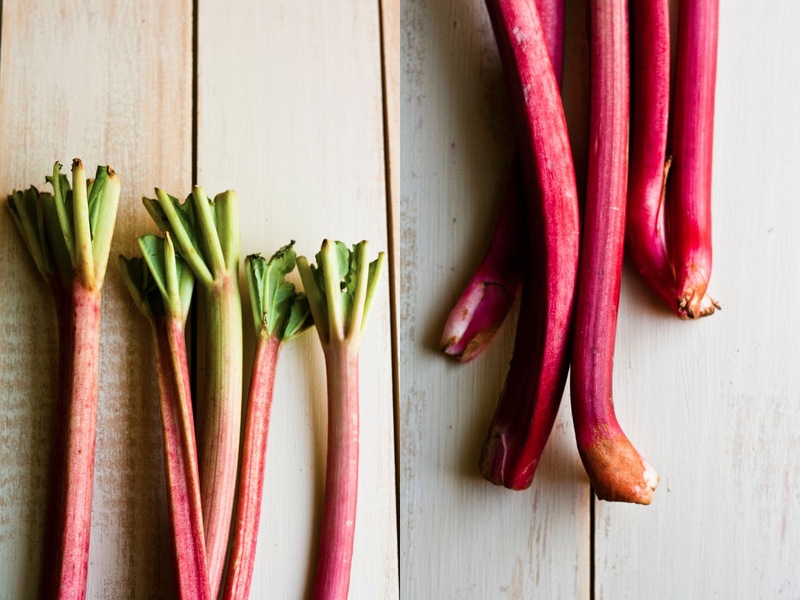 Combine 4 cups chopped rhubarb, 1 cup granulated sugar, and 1 cup water in a medium saucepan with a heavy bottom and bring to a boil. 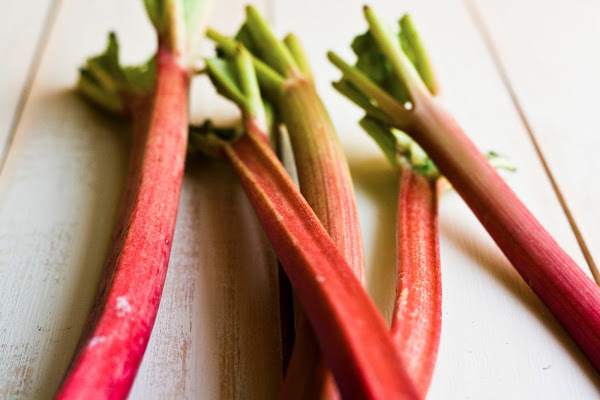 Once the mixture is boiling, reduce the stovetop temperature to its lowest heat and allow the mixture to simmer and cook gently until the rhubarb is soft and the liquid has thickened slightly, about 20 minutes. You should have a bright magenta mixture at this point. Ladle the mixture into a fine strainer placed over a medium, heatproof boil. Strain until most of the liquid is in the bowl and give a little press on the strained, stewed rhubarb with the back of a spoon to extract a little bit more syrup. Pour the syrup into a clean jar, cover and refrigerate. It should keep for quite some time in the fridge. 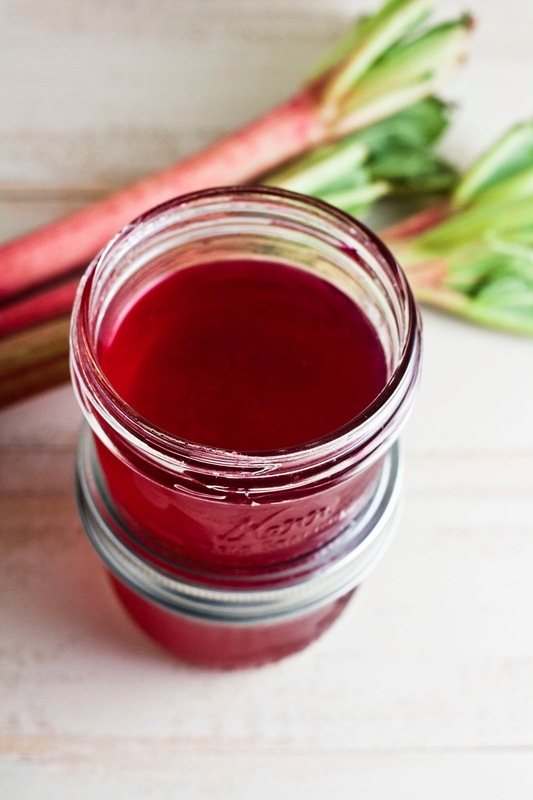 I've never been brave enough to try anything with rhubarb, but you've made it look so easy and so yummy! I may have to venture out a bit! Oh nooo! Rhubarb is going out of season already? Where is the time going? 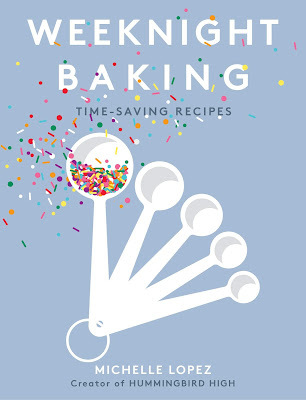 Thanks for the reminder and recipe to go save some for later! I'm especially excited for your upcoming drink recipe! my gpa would love this! might have to make him some. That's a great idea! And I love your pictures. I had rhubarb in my backyard growing up and loved to make a crunch out of it. This looks really good, is there a way I might make it with less sugar or would I have to thicken it with something? I'm diabetic so this would be a treat for me. Less sugar would also work. I would reduce by a quarter cup of sugar — you might end up with a thinner syrup, but that's fine. 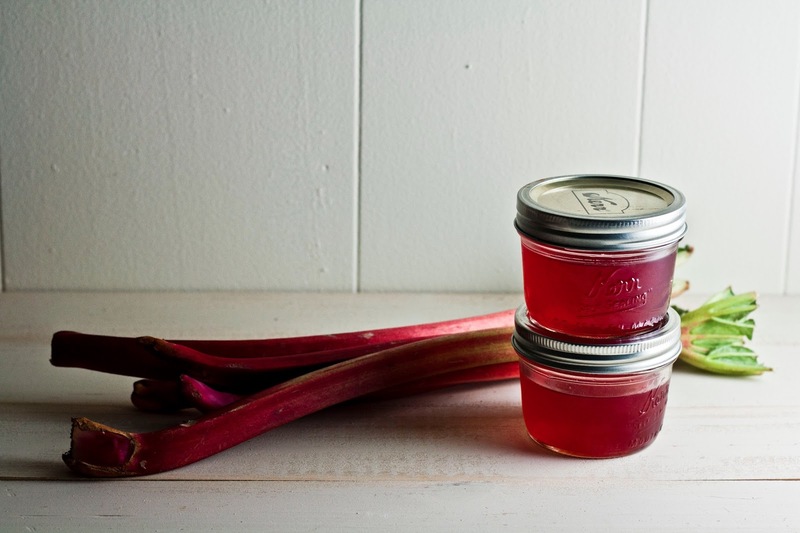 I love to can rhubarb syrup so then I have it year round. Just made a batch, mixed with soda pop and topped with vanilla bean ice cream. Rhubarb Float!